The internal combustion engine as we know it today is the result of hundreds of years of technological development. From primitive crankshaft machines in the 3rd century, to the advanced six-stroke engines of today, the internal combustion engine represents man’s ongoing quest to make the world around him an easier place to live in. What Does Internal Combustion Mean? One simple representation of the internal combustion engine is the gun. The gun is composed of a barrel, a fuel source (gunpowder), an ignition source, and ammunition. By igniting an exact mixture of fuel and air in a pressurized container, you create an explosion that propels the bullet through the barrel and into the air. This is the basic principle behind how an internal combustion engine works. Only, instead of a bullet, the engine uses a piston, and instead of jettisoning the piston out of the engine block, each piston is connected to a crankshaft by means of a connecting rod. This crankshaft allows for repeated explosions against the piston, and effectively translates linear motion into rotational motion—effectively turning the wheels of your car. Many internal combustion engines operate on a 4-stroke cycle (also called the Otto cycle in honor of its inventor, Nikolaus Otto). This approach can be found in most cars, and is an effective way of converting gasoline into motion. At the beginning of this cycle, the piston starts in the up position, and all valves are closed. Intake Stroke: the air intake valve above the piston opens, and the piston descends into the down position. This process fills the area above the piston with the appropriate mixture of oxygen and gasoline (only a drop of gasoline is required). Compression Stroke: The piston then resumes its original up position. This movement compresses the air-gasoline mixture, and provides the necessary pressure for an efficient explosion. Combustion Stroke: At this point, a spark plug produces an electric spark which ignites the compressed air and gasoline. This is the controlled explosion that produces movement as it drives the piston (shoots the bullet) back into the down position. Exhaust Stroke: As the piston reaches its bottommost point, the exhaust valve opens, and releases the exhaust from the explosion through your car’s tailpipe. Off-setting pistons keep the crankshaft in constant motion; as the crankshaft continues to rotate, the piston resets, and the process starts over again. This entire process takes place very rapidly. In fact, the tachometer—the gauge that measures rotations per minute (RPM)—is actually referring to how many complete revolutions the crankshaft is making in a minute. At a constant velocity over 20 mph, the average reading is around 2, 000 to 3, 000 RPM, meaning that the 4-stroke cycle only takes about 0.02 seconds to complete! This is why regular oil changes are so important. 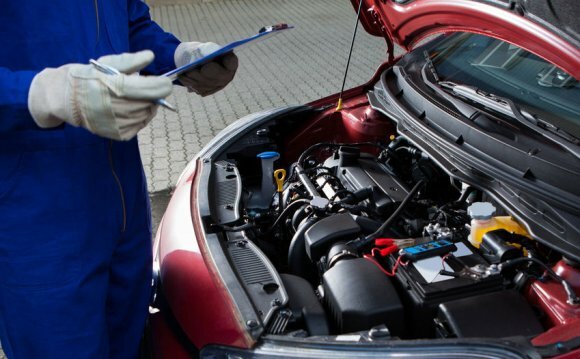 Insufficient or dirty oil can slow this process down, and even cause damage to your engine. Valve cover racing is a competitive event similar to the Pinewood derby, but vehicles are made from a valve cover from an internal combustion car engine, rather than of wood blocks, . Valve cover racing is most commonly seen at car shows.